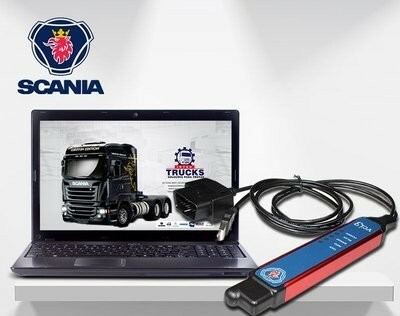 Scania VCI3 WIFI este cel mai recent aparat de diagnoza cu transmisie fara fir care poate fi folosit impreuna cu softul Scania Diagnos & Programmer 3 (SDP3) pentru a face diagnoza si a rezolva problemele pe toate Camioanele Scania. Soft actual este v2.31 compatibil doar cu Windows 7 si 8 si suporta update. 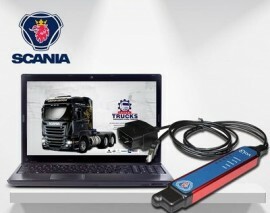 Scania VCI3 is the latest diagnostic tool that is used together with Scania Diagnos & Programmer 3 (SDP3) software to diagnose and troubleshoot Scania vehicles.SDP3 - It is the software for diagnostics and programming that operating with the interface VCI3, the version of SDP3 is v2.28 work only with Windows 7 and 8. 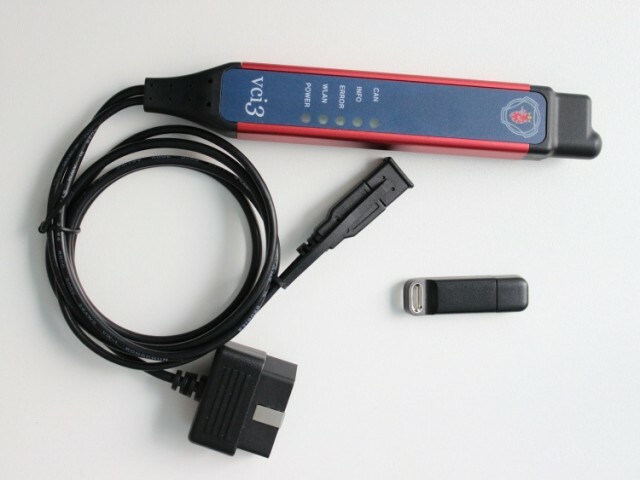 Vehicle Communication Interface (VCI) is the interface which is used between the vehicle or an industrial and marine engine and a computer with SDP3. VCI3 can be connected to the computer via a USB cable or via wireless connection. Wireless connection between the computer and VCI3 can be made in different ways depending on the required area of application and the available options offered by the wireless network. The computer and VCI3 can either be connected via a wireless direct connection (ad-hoc) or communicate via an existing wireless network (infrastructure). Bodywork Interface Configuration Tool (BICT) is a software tool for the Bodywork Interface Configuration (BIC) function. This tool facilitates the connection of bodywork and body using the functions included in the vehicle’s electrical system. 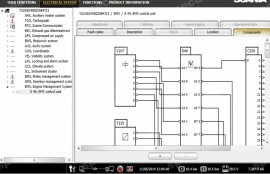 The logic programming is done in a BIC project, which in turn can contain several logic diagrams, to make the logic programming clearer. The BIC project can be saved and reused for more vehicles. BICT can be used both with and without connection to the vehicle. Without connection to a vehicle it is possible to create new projects containing logic diagrams and simulate logic diagrams. The BIC project can be saved and later used to write the BIC program to the control unit. With BICT connected to the vehicle it is possible to write a new BIC program to the control unit or update the existing BIC program in the control unit. 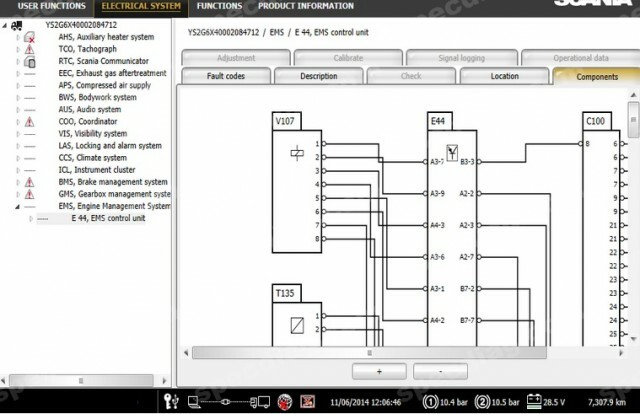 You can also troubleshoot the BIC program in the control unit via guides in SDP3. 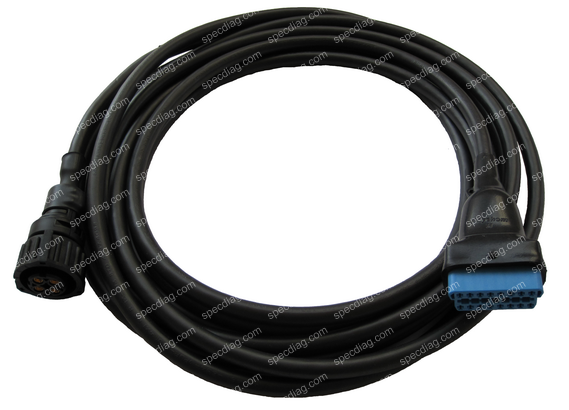 Scania BNS II Service Tool (BST) is a PC software for diagnosis, troubleshooting and reprogramming of the multiplexed body electric system BNS II, used on buses in the Scania Omni City/Link or Citywide range. High Level used for Scania R,P,G,T,K,N series (buses, trucks) over 2004 year. Industry & Marine Level used for industrial and marine engines. Internal Level for developers used for Scania R,P,G,T,K,N series (buses, trucks) over 2004 year. Industrial and marine engines with S6 or S8 control unit on E2011 type engines, have the diagnostic socket located on the engine. When connecting SDP3, an adapter 1862924 must be used in order to connect VCI. For programming special parameters, doing conversions and editing SOPS files see Scania SOPS File ED software. 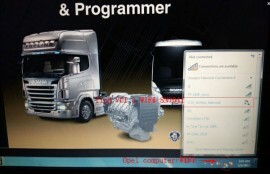 For programming special parameters, resetting, reloading ECU see Scania XCOM software. Supported languages: English, German, Spanish, French, Japanese, Dutch, Persian, Polish, Portuguese, Swedish, Norwegian, Suomi, Turkish, Italian, Czech, Russian, Chinese. • Edit XML file with any XML editor or with the one provided. • Modify more than 300 parameters, like AdBlue, EGR, NOx Control and much more(ask for complete list). • Upload SOPS import file to truck with SDP3 diagnostic kit. Alte detalii solicitati la contact.